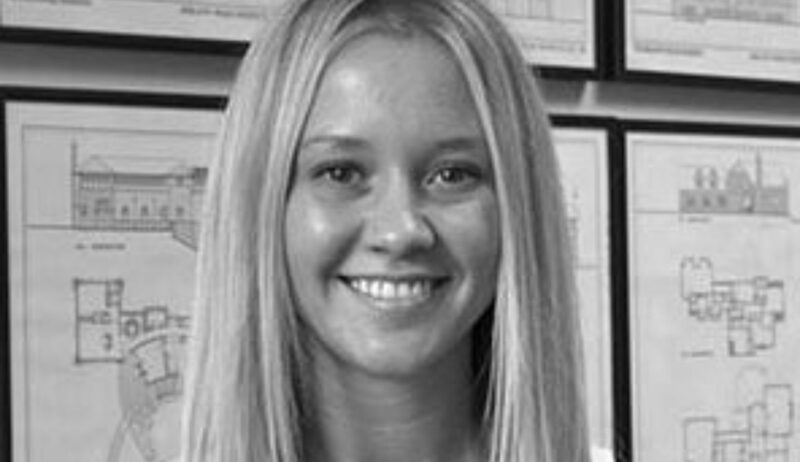 Meet architect Alicia Blakely, a graduate of the Illinois Institute of Technology and a five-year veteran of MWA. Organized, optimistic and outgoing, she surprises us daily with her thoughtful designs – along with her interests in skydiving, cooking and oh yes, boxing! It’s one of the things I enjoy doing in my spare time, along with reading, watercolor and trying – and eating! – new recipes. Well, I’ve jumped off a plane – but I’m afraid to swim in the ocean. I have a fear something’s out to eat me. And yet you love islands. It’s true. My ideal home would be an island getaway – a secluded, minimalist cottage on the beach overlooking the ocean. It would have clean white interiors with lots of wood and natural stone, simple finishes and tons of natural light. My husband and I have family in Antigua in the Caribbean and visit quite often. We hope to build a second home there one day. Speaking of home, what does every house need in order to feel like a home? In my mind, what really makes a house a home is family – the people we can’t wait to get back to at the end of the day. What do you think makes a good client? A good client is someone who knows him or herself well enough to relay their needs and wants to us. It’s our job – and our passion – to design for each individual based on the criteria they supply us with. When a client comes to us knowing these things, it makes designing a unique home to suit them that much more successful. Who inspires you besides your clients? I’ve been in awe of Frank Lloyd Wright’s houses from my early childhood. I worked at a local Mom and Pop dime shop as a kid, and I can remember getting caught by my boss drawing one of Wright’s houses, line by line and brick by brick, while I was manning the cash register. Wright left a forever impression on me to become an architect. It’s what I’ve always wanted to do. If you weren’t designing houses, what might you be doing instead? I love mysteries – or at least, trying to piece together an unsolved story as an undercover Carmen Sandiego. So you’d probably catch me working as a crime scene investigator, or working for the FBI – If I’m not secretly already doing so!